Topchic 3% 10 vol developer 1000ml/33.8fl.oz. Designed to work with Topchic hair colours. View Related Products. To use: After shampooing, apply and comb through hair. Leave on hair for 60 seconds, and then rinse thoroughly. Apply the hair color straight onto your hair from this special bottle. Included is a brush top to more precisely apply the hair color onto your hair with its bristles. View Related Products. Size:1000 ml | Colour:6% 20vol Developer Lotion by Goldwell is to be used with Topchic Permanent Hair Color and Oxycur Platin lightener. Refer to instructions for use for complete application guidelines. 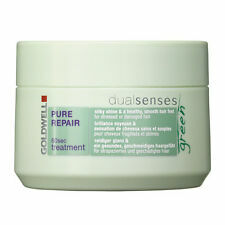 Reduces fly-aways and frizz in the hair to ensure a smooth finish. Adds a glossy shine to the hair. To use: Apply to dry hair. Size:1000 ml | Colour:12% 40vol Developer Lotion by Goldwell is to be used with Topchic Permanent Hair Color and Oxycur Platin lightener. Refer to instructions for use for complete application guidelines. Marke Goldwell. For faster and safe working with straightening irons. Because the spray with precious ingredients is enriched, it makes neat and smooth the hair. In addition, micro protein regenerate hair. Style Sign by Goldwell by Goldwell. Goldwell StyleSign Sleek Perfection Thermal Spray Serum speeds up the straightening process, and with added humidity protection, you’ll relish in hassle free, silky straight hair. This serum is an absolute essential for anyone who wants to enjoy sleek, smooth and shiny locks. The blue, dust-free high performance powder bleach with improved Platin Plus Formula provides fast and effective lift with maximum possible protection of the hair. The swelling of the product in the bowl is kept to a minimum. 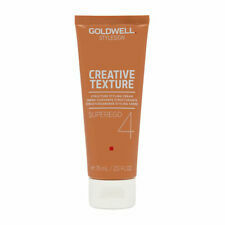 Goldwell Colourance Developer, 2% 1Litre, Normal Strength is for use with Goldwell Colourance tubes and cans. View Related Products. 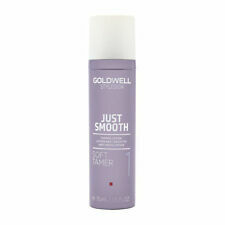 Colorance Developer Lotion by Goldwell is of two strengths, normal and intensive. Need help or advice?. View Related Products. Goldwell Colorance Mousse is a coloured styling foam with conditioning ingredients that provides subtle colour effects and a gentle styling aid for the hair. To Use: Simple and comfortable to use, no rinsing out. Colorance Color Styling Mousse is a colored styling foam with conditioning ingredients that provides subtle color effects and a gentle styling aid for the hair. Adds colour to your natural shade, temporarily colours grey hair or enhances permanent colour. Size:1000 ml | Colour:9% 30vol Developer Lotion by Goldwell is to be used with Topchic Permanent Hair Color and Oxycur Platin lightener. Refer to instructions for use for complete application guidelines. Unmanageable and frizzy hair is reshaped and smoothed. - Apply to towel-dried or dry hair. Details provided by Goldwell. For accentuated, structured looks. Launch Date. Fragrance Family. Fragrance Notes. Deep-action repairing and revitalising care in just 60 seconds. Enriched with 100% certified organically grown Noni Extract and rich Shea Milk derived from shea butter. Details provided by Goldwell. With Active Protectant Factor a blend of Grape Seed extracts and Vitamin E to nourish dry and stressed hair after outdoor activities. Launch Date. Fragrance Family. Fragrance Notes. Details provided by Goldwell. Launch Date. For smooth finish with a brilliant shine. Fragrance Family. Fragrance Notes. Für schnelleres und schonenderes Arbeiten mit Glätteisen. Mit Farb- und Hitzeschutz bis 200°C. Das Spray Serum kann ebenfalls dabei helfen, Haarbruch zu reduzieren. - Farb- und Hitzeschutz bis 200°C. Instantly smooth yet perfectly volumized hair. Launch Date. Fragrance Family. Fragrance Notes. More Information. By Goldwell, New. Pure ingredients for color treated hair. Professional Formula. SMOOTHING FLUID. • With Keratin and Liquid Silk. Details provided by Goldwell. Supports the natural balance of the scalp. Launch Date. Fragrance Family. Fragrance Notes. For dry and coarse hair. Leaves hair supple, glossy, and combable. GOLDWELL estilo muestra sólo liso elegante perfección 100 ml. Marke Goldwell. Inhalt 100 ml. Maßeinheit 100 ml. EAN 4021609275244. -evita el vapor de agua. CÓDIGO EAN: 4021609275244. -dura suavidad. By Goldwell, New. Pure ingredients for curly hair. The intensive conditioning properties leave hair soft and manageable with a healthy gloss. For unmanageable, unruly and frizzy hair. - Provides heat protection. - With Keratin and Liquid Silk. GOLDWELL stile segno solo liscio elegante perfezione 100ml. Marke Goldwell. Inhalt 100 ml. Maßeinheit 100 ml. EAN 4021609275244. -evita di vapor d'acqua. Inserito da CODICE EAN: 4021609275244. Goldwell Definition Dry and Porous Shampoo Hair Shampoos (5) 1.6 oz. This item is for quantity (5) 1.6 oz bottles. Great for travel! Capable of taming even the thickest of manes, this product will keep your hair styled exactly how you choose until your next shampoo. Perfect for wavy or curly hair, Goldwell straightening gel will detangle your hair and keep it protected from heat-styling. GOLDWELL style signe juste lisse perfection lisse 100 ml. Marke Goldwell. Maßeinheit 100 ml. Inhalt 100 ml. EAN 4021609275244. -évite la vapeur d’eau. Soumis par EAN : 4021609275244. Conditioning cream enhances the style, leaving the hair with a soft, natural feel. Regenerates using the latest technology for natural smoothness and color protection. Conditioning cream enhances the style, leaving the hair with a soft, natural feel. Regenerates using the latest technology for natural smoothness and color protection. Protects the hair color. Launch Date. By Goldwell, New. Pure ingredients for color treated hair. Restructures hair in just 60 seconds.